…but it will be back! 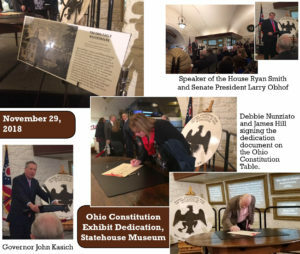 A couple of weeks ago, the library got a phone call from the Ohio Statehouse asking if they could borrow our historic weathervane for a special exhibit and reception. Of course we said yes. Usually, the 1802 Eagle Weathervane can be seen on the wall at street level. It will be returned to the library in December. If you don’t know, the library is the proud owner of the original eagle weathervane that graced the top of Ohio’s first (and third) capitol building in Chillicothe. 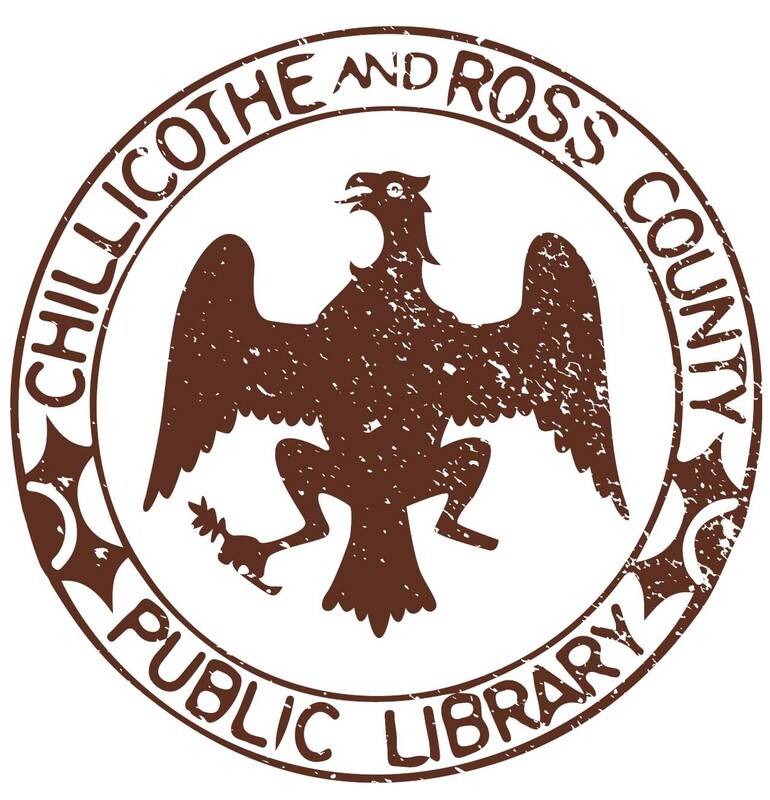 In past years, the eagle has been library’s and city’s logo and mascot. 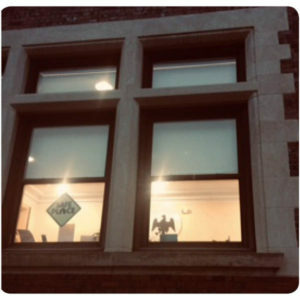 It has moved with the library through various locations since the 1800s. Nowadays, the eagle normally hangs sentinel on the wall in the reading room at the main library. But, on Monday, November 19, it was gingerly removed and packed up in blankets to be taken to the statehouse in Columbus for a two-week stint. 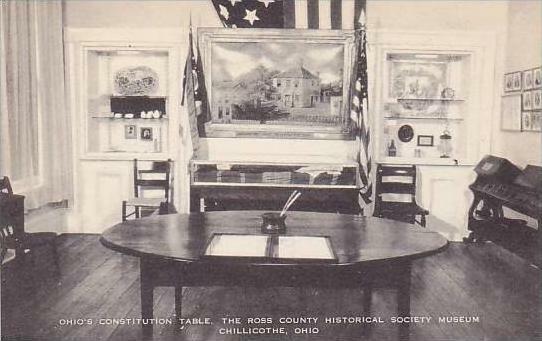 The Constitution Table as featured on a mid-century postcard. 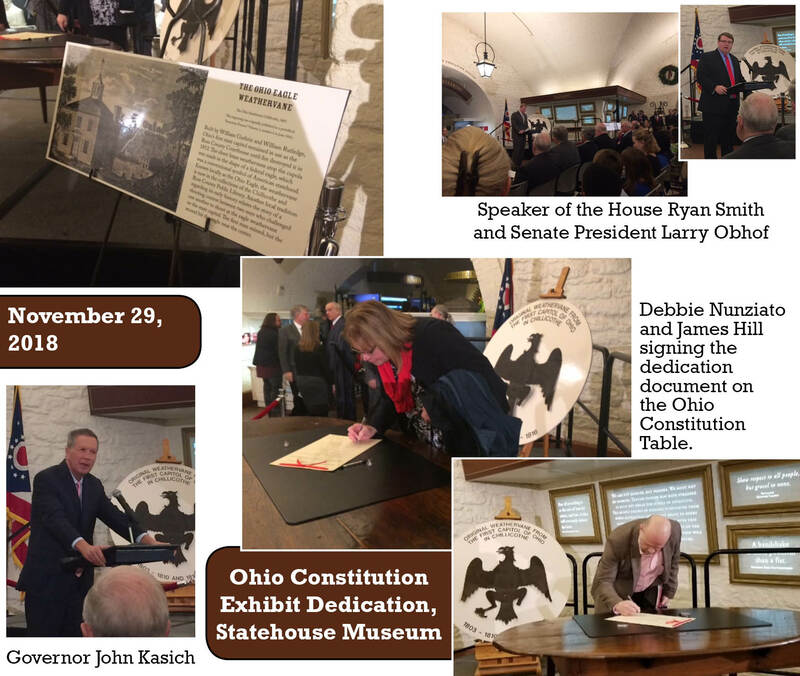 The weathervane, along with the Constitution Table on loan from the Ross County Historical Society and Museum, will be on display for the opening reception of a new exhibit in the capitol featuring artifacts surrounding Ohio’s two constitutions. 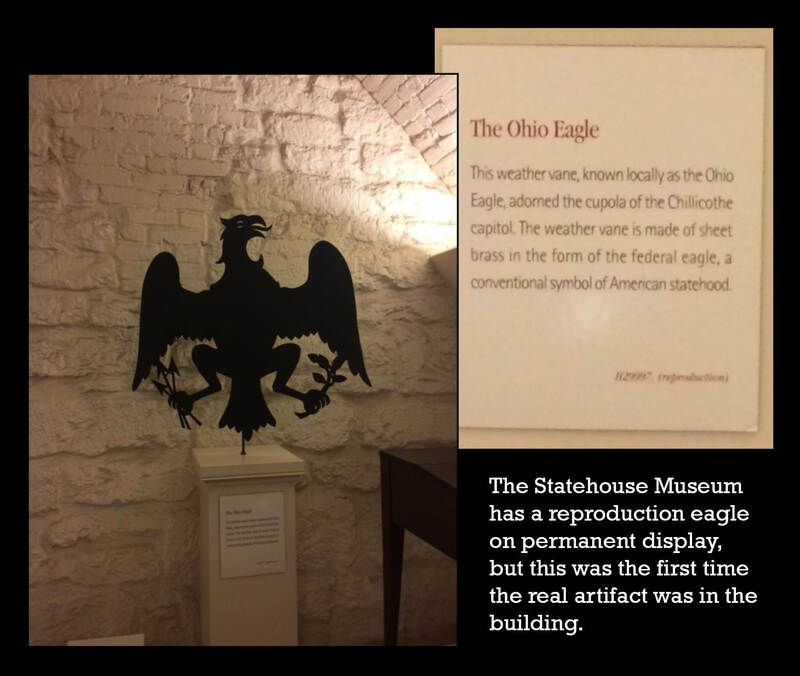 The free museum is located on the ground floor of the Ohio Statehouse and is open to the public. 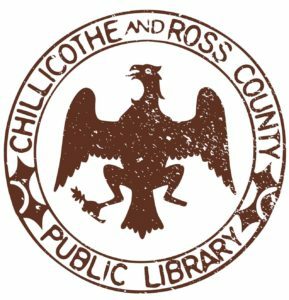 The Chillicothe and Ross County Public Library is excited and proud to share our part of history with the rest of Ohio! 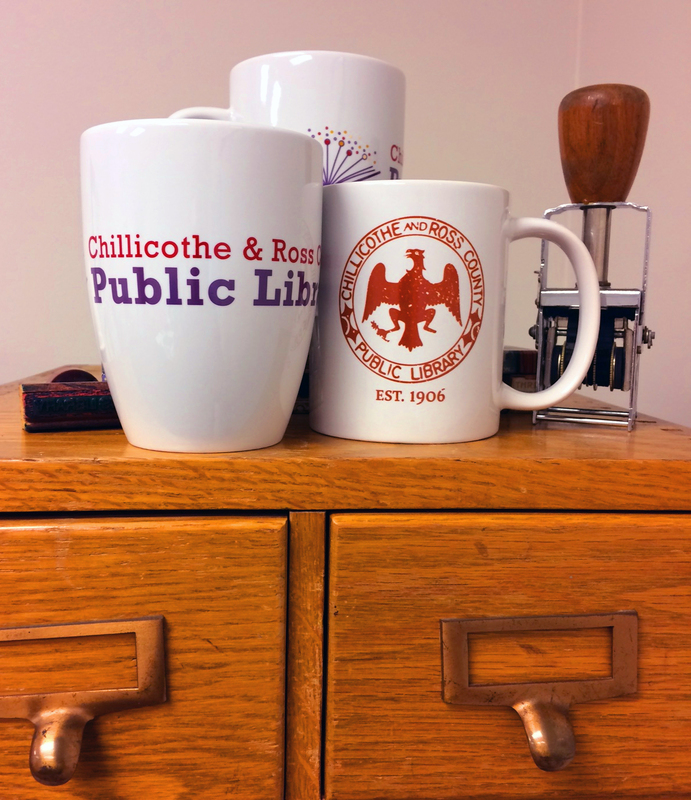 Earlier this year, the library unveiled two new mugs. One features the weathervane with the “Legend” on the back about how it got its bullet hole. 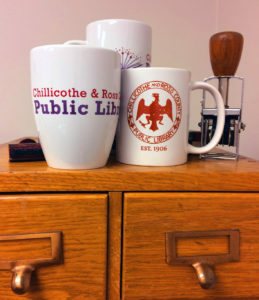 Both mugs are still available at the library for $5. Photos from the event. Click to enlarge.